Slow cooker side dishes are my favorite! 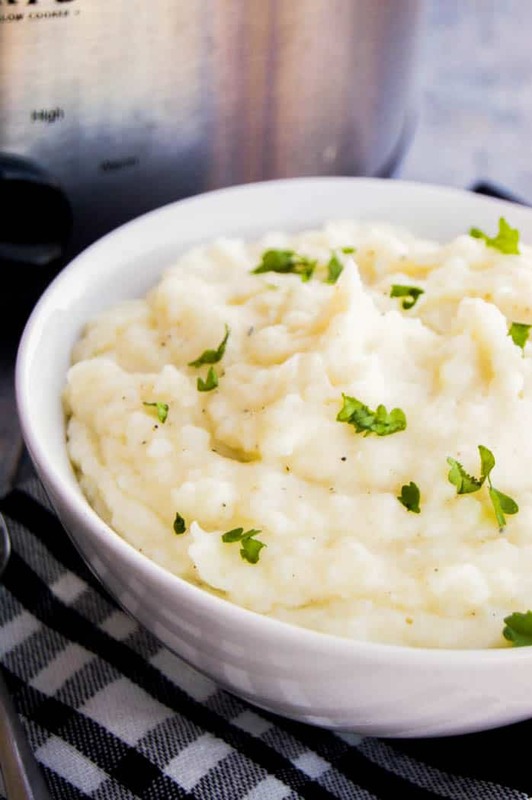 These Slow Cooker Sour Cream and Ranch Mashed Potatoes are full of flavor and made with sour cream to make them super creamy. One of the most popular recipes on my blog is my best-mashed potatoes recipe. Everyone is always asking me about making them in the slow cooker and other side dishes that can be made in the slow cooker. While I came to deliver! 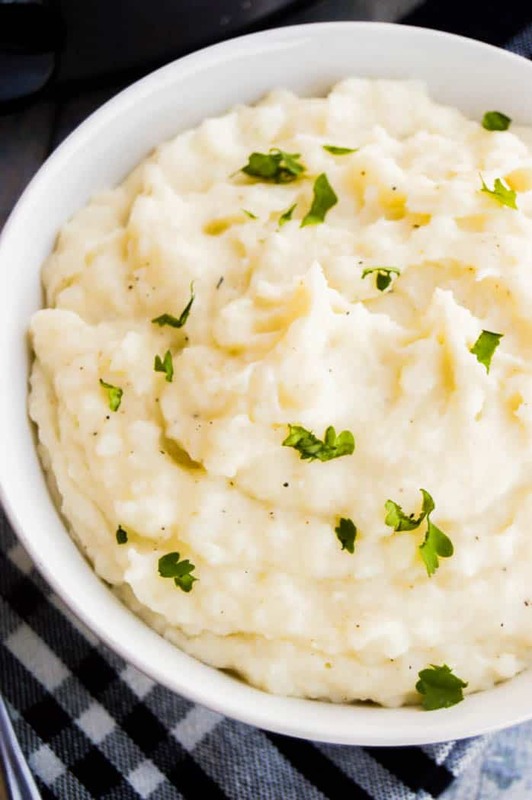 These Slow Cooker Sour Cream and Ranch Mashed Potatoes are so yummy and so simple to make. No boiling before just toss the potatoes in the slow cooker with a little broth. 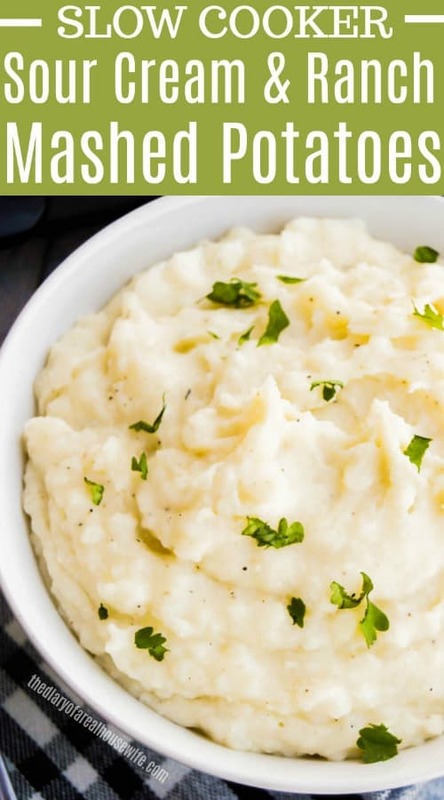 If you love mashed potatoes as much as I do then you have to check these out. Peel and wash potatoes then dice. Place diced potatoes to slow cooker. Pour in chicken broth into slow cooker. Add sour cream and butter and use a masher to mash potatoes until smooth and butter has melted. For me, the two classic meals that pair perfectly with mashed potatoes are meatloaf and Salisbury steak. If you want something with a little spice you have to try this recipe with my crispy buffalo chicken. If you are serving kids then this cheesy ranch chicken will be a winner for sure. Peel and wash potatoes then dice. Add diced potatoes to slow cooker. Season with ranch seasoning. Pour chicken broth into slow cooker. Cook on high for 3-4 hours or on low for 5-6 hours. Potatoes should be tender. Add sour cream and butter and use a masher to mash potatoes until smooth and butter has melted. Serve and enjoy. Recipe by The Diary of a Real Housewife.